Social Science with its four branches (Economics, History, Political Science, Geography). Like economics gives knowledge about economic developments and in history people know what happened in the past by looking at things from the past including sources (like books, newspapers, and letters) and artifacts (like pottery, tools, and human or animal remains. Political Science is a study of government, public policies and political. Geography gives knowledge about Earth's landscapes, peoples, places, and environments. So, there is too many things in Social Science. These NCERT solutions very helpful for you to score well in board exam. Most of the questions are asked from these NCERT textbooks. You can download NCERT solutions for class 10 Social Science in myCBSEguide website and mobile app for free. Download NCERT Solutions for CBSE Class 10 Social Science HIS The Rise of Nationalism in Europe HIS The Rise of Nationalism in Europe: (a)The growth of nationalism in Europe after the 1830s. (b) The ideas of Giuseppe Mazzini, etc. (c) General characteristics of the movements in Poland, Hungary, Italy, Germany and Greece. Download NCERT Solutions for CBSE Class 10 Social Science HIS The Nationalist Movement in Indo China HIS The Nationalist Movement in Indo China: (a)French colonialism in Indo-China. (b) Phases of struggle against the French. (c) The ideas of Phan Dinh Phung, Phan Boi Chau, Nguyen Ac Quoc (d) The second world war and the liberation struggle. (e) America and the second Indo-China war. Download NCERT Solutions for CBSE Class 10 Social Science HIS Nationalism in India HIS Nationalism in India: (a) First world war, Khilafat, Non-Cooperation and Civil Disobedience Movement. (b) Salt Satyagraha. (c) Movements of peasants, workers, tribals. (d) Activities of different political roups. Download NCERT Solutions for CBSE Class 10 Social Science HIS The Making of a Global World HIS The Making of a Global World: (a) Contrast between the form of industrialization in Britain and India. (b) Relationship between handicrafts and industrial production, formal and informal sectors. (c) Livelihood of workers. Case studies: Britain and India. Download NCERT Solutions for CBSE Class 10 Social Science HIS The Age of Industrialisation HIS The Age of Industrialisation: (a) Patterns of urbanization (b) Migration and the growth of towns. (c) Social change and urban life. (d) Merchants, middle classes, workers and urban poor. Download NCERT Solutions for CBSE Class 10 Social Science HIS Work Life and Leisure HIS Work Life and Leisure: (a) Expansion and integration of the world market in the nineteenth and early twentieth century. (b) Trade and economy between the two Wars. (c) Shifts after the 1950s. (d) Implications of globalization for livelihood patterns. Download NCERT Solutions for CBSE Class 10 Social Science HIS Print Culture and the Modern World HIS Print Culture and the Modern World: (a) The history of print in Europe. (b) The growth of press in nineteenth century India. (c) Relationship between print culture, public debate and politics. Download NCERT Solutions for CBSE Class 10 Social Science HIS Novels Society and History HIS Novels Society and History: (a) Emergence of the novel as a genre in the west. (b) The relationship between the novel and changes in modern society. (c) Early novels in nineteenth century India. (d) A study of two or three major writers. Download NCERT Solutions for CBSE Class 10 Social Science GEO Resources and Development GEO Resources and Development :Types - natural and human; Need for resource planning, natural resources, land as a resource, soil types and distribution; changing land-use pattern; land degradation and conservation measures. Download NCERT Solutions for CBSE Class 10 Social Science GEO Forest and Wildlife Resources (deleted) GEO Forest and Wildlife Resources: Types and distribution, depletion of flora and fauna; conservation and protection of forest and wild life. Download NCERT Solutions for CBSE Class 10 Social Science GEO Agriculture GEO Agriculture: Types of farming, major crops, cropping pattern, technological and institutional reforms; their impact; contribution of Agriculture to national economy - employment and output. Download NCERT Solutions for CBSE Class 10 Social Science GEO Minerals and Energy Resources GEO Minerals and Energy Resources: Types of minerals, distribution, use and economic importance of minerals, conservation, types of power resources: conventional and non-conventional, distribution and utilization, and conservation. Download NCERT Solutions for CBSE Class 10 Social Science POL Power sharing POL Power sharing: Why and how is power shared in democracies?, To what extent has decentralisation achievedthis objective? How does democracy accommodate different social groups? Download NCERT Solutions for CBSE Class 10 Social Science POL Federalism POL Federalism: How has federal division of power in India helped national unity? To what extent has decentralisation achievedthis objective? How does democracy accommodate different social groups? Download NCERT Solutions for CBSE Class 10 Social Science POL Democracy and Diversity POL Democracy and Diversity: Are divisions inherent to the working of democracy? How do communal divisions affect democracy? 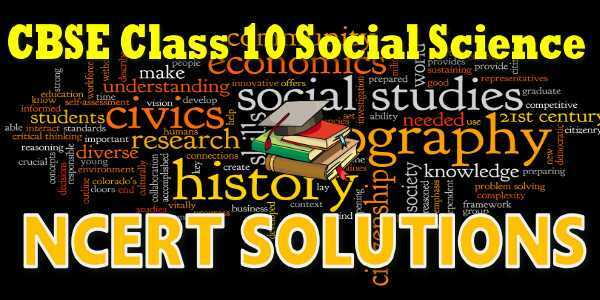 Download NCERT Solutions for CBSE Class 10 Social Science POL Gender Religion and Caste POL Gender Religion and Caste: What has been the effect of caste on politics and of politics on caste? How has the gender division shaped politics? Download NCERT Solutions for CBSE Class 10 Social Science POL Popular Struggles and Movements (project only) POL Popular Struggles and Movements: How do struggles shape democracy in favour of ordinary people? Which are the major national and regional parties in India? 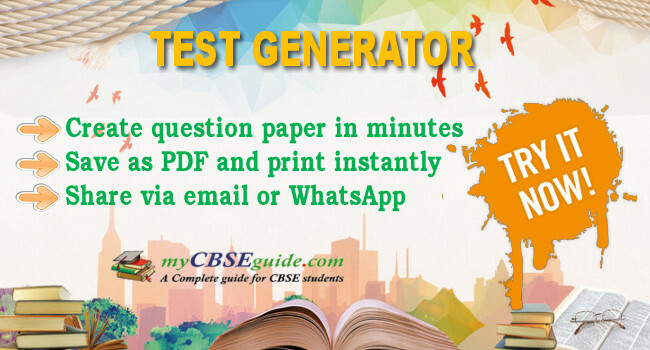 Download NCERT Solutions for CBSE Class 10 Social Science POL Political Parties POL Political Parties: What role do political parties playin competition and contestation? Why have social movements come to occupy large role in politics? Download NCERT Solutions for CBSE Class 10 Social Science POL Outcomes of Democracy POL Outcomes of Democracy: Can or should democracy be judged by its outcomes? What outcomes can one reasonably expect of democracies? Does democracy in India meet these expectations? Has democracy led to development, security and dignity for the people? What sustains democracy in India? Download NCERT Solutions for CBSE Class 10 Social Science ECO Development ECO The Story of Development: The traditional notion of development; National Income and Per-capita Income. Growth of NI - critical appraisal of existing development indicators (PCI, IMR, SR and other income and health indicators) The need for health and educational development; Human Development Indicators (in simple and brief as a holistic measure of development. Download NCERT Solutions for CBSE Class 10 Social Science ECO Sectors of the Indian Economy ECO Sectors of the Indian Economy: Sectors of Economic Activities; Historical change in sectors; Rising importance of tertiary sector; Employment Generation; Division of Sectors Organised and Unorganised; Protective measures for unorganised sector workers. Download NCERT Solutions for CBSE Class 10 Social Science ECO Money and Credit ECO Money and Credit: Role of money in an economy: Historical origin; Formal and Informal financial institutions for Savings and Credit - General Introduction; Select one formal institution such as a nationalized commercial bank and a few informal institutions; Local money lenders, landlords, self help groups, chit funds and private finance companies. Download NCERT Solutions for CBSE Class 10 Social Science ECO Globalisation ECO Globalisation: What is Globalisation (through some simple examples); How India is being globalised and why; Development Strategy prior to 1991. State Control of Industries : Textile goods as an example for elaboration; Economic Reforms 1991; Strategies adopted in Reform measures (easing of capital flows; migration, investment flows); Different perspectives on globalisation and its impact on different sectors; Political Impact of globalisation. Download NCERT Solutions for CBSE Class 10 Social Science ECO Consumer Awareness ECO Consumer Awareness: How consumer is exploited (one or two simple case studies) factors causing exploitation of consumers; Rise of consumer awareness; how a consumer should be in a market; role of government in consumer protection. CBSE class 10th Social Science have three books. Each book has chapters and topics.